Skip is a photographer working and living in Rockport Massachusetts. He is an exhibiting member of the Rocky Neck Art Colony, Rocky Neck Gallery, Rockport Art Association, Newburyport Art Association and the Griffin Museum of Photography. His passion for photography developed during his career at the Polaroid Corporation, where he spent more than 30 years as a photographic scientist, engineer and technology leader. Over the years he has moved from film based media to digital. He has a deep love for the area in which he lives and is constantly inspired by the ocean. 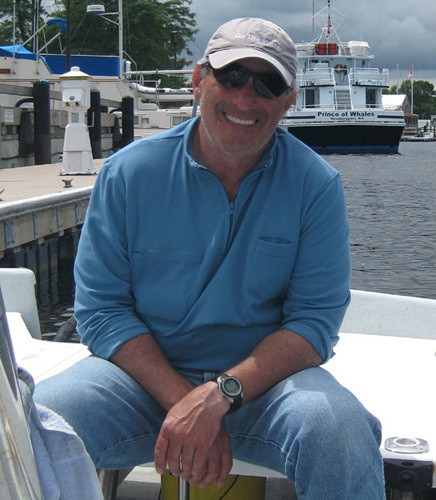 When not photographing, he is a sport fishing charter captain, sailing instructor and outdoor writer. Skip's photography is frequently displayed in many juried photography exhibits around the country. His photography has earned numerous awards at the art associations in Rockport and Newburyport and the worldwide Nikon Small Wonders Competition . He has exhibited in several solo exhibits including art associations and public libraries. His work is held in private collections in the USA and Europe. Skip is a graduate of Northeastern University, Engineering and Science and a US Navy Submarine Veteran.